For the most part of my natural hair journey I’ve considered myself a true naturalista to the point of making my hair products myself every time I wanted to give it some tender loving care. The main reason was that when I started out I honestly didn’t know where to find natural hair products in Tokyo and products specifically meant for curly hair just aren’t available in Japan. So I soon became a kitchen mixtress. Even though I still consider myself a DIY girl at heart, the truth is that making up all these products yourself takes time – precious time that I don’t always have, and as much as I want to give my tresses all the love and care it deserves I can’t handle the fact that it can take me up to 5 hours – yes I’ve said it – 5 hours on a wash day. Bear in mind that I usually wash my hair on a Monday or Tuesday night after work. Most often it took extra time because I would literally make up my own deep conditioner or hair mask for every wash session, which typically includes ingredients like fresh avocado, apple cider vinegar, honey, coconut and olive oil added to a base of a natural conditioner. Once applied I would then leave that on for 30 minutes to an hour. But guess what Ladies? It just takes too damn long! So I’ve come up with a couple of simple ways to remedy my long drawn out wash routine. Yes, that’s right. As effective as it may be, instead of taking an extra 15 – 20 minutes mashing, measuring, messing and mixing up ingredients from my kitchen cupboard I now use a couple of effective commercial, but still natural, deep conditioners. The 2 products that have been giving me back some valuable time are Carol’s Daughter Black Vanilla Smoothie and the Monoi Repairing Hair Mask, also from Carol’s Daughter. I use these 2 interchangeably so that one week I focus on intense moisture and the next week on protein and strength. I feel like I’ve been committing the biggest faux-pas of the the natural hair community, but every now and again when I’m really short on time, I skip the deep conditioning session. Rather, I do a very quick version of it. Instead of stepping out the shower for half an hour with my hair under a plastic cap and towel, I simply apply a really moisturising conditioner followed by avocado oil, which adds that extra dimension of moisture, slip and softness. I’ll leave that on my hair while I’m getting on with the rest of my shower routine, and I find that once I’ve rinsed it out, my strands feel like silk and the curls are just bouncing away. Like I said, I only do this when I’m really short on time or just not in the mood to only climb into bed at midnight, and as for discovering shop bought product, it really has saved me a lot of time and effort. I still incorporate home-made deep conditioners into my routine, but just less so than I did before. I imagine once I start running out of product I’ll be back to making a lot of my own again. And to be honest, I’ve recently come across a few recipes that I’d like to try in the near future. But right now, shop bought goodies are making my life so much easier and my hair remains healthy and strong. 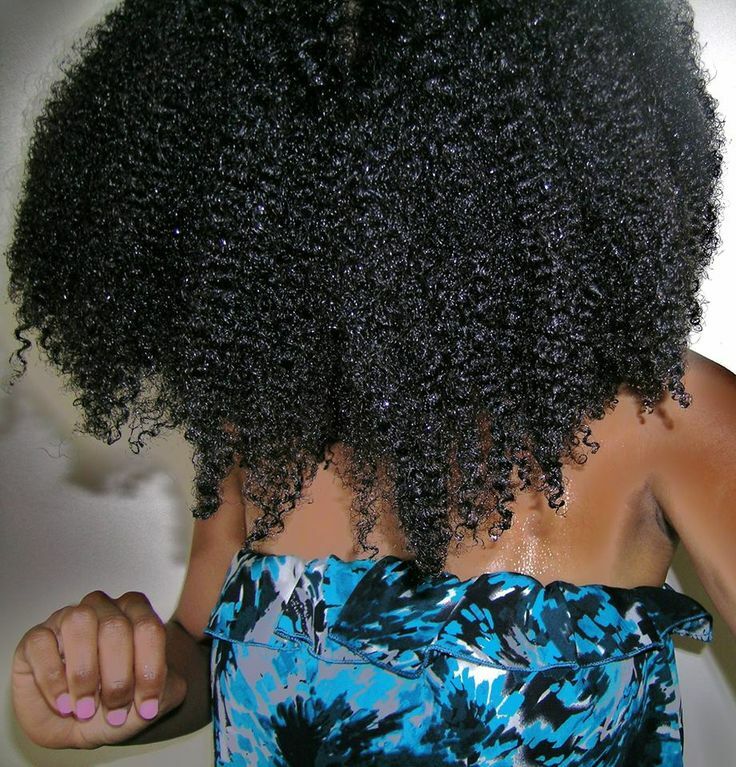 Who ever said that natural hair care should be time-consuming and complicated? Thanks, but it’s not my hair in the photo. I found this image on Pinterest. Thanks for the comment Hun, but the pic isn’t mine. I found it on Pinterest. Yea, I’ve found that it’s okay to skip the deep conditioning every now and then. My hair still stays moisturised.